>Here’s part II of my summary of reflection and learnings from the Haiti5 World Relief Conference I attended two weeks ago. Part I is here. 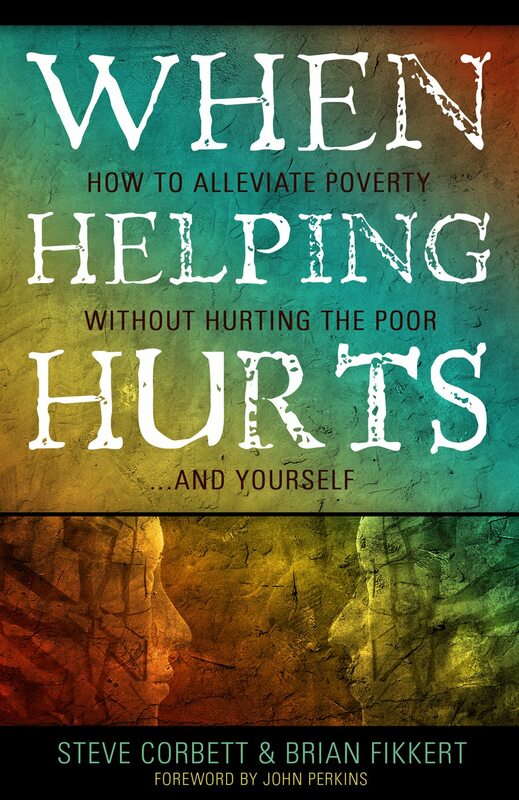 Brian Fikkert made a presentation from his book on the topic of how to help the poor without hurting the poor. I have the book on my to-read list, so take these thoughts critically as I still need to work out his ideas in detail through his book. I thought his presentation was a good introduction however, and I’m intrigued to get to it soon. Fikkert began by asking the question, “What is poverty?” Take a moment to formulate an answer to the question before you read below. Citing the responses of various interviews of those in poverty-stricken situations (conducted by the Chalmers center and the World Bank separately), he noted that most responses had nothing to do with material shortages, but rather shame, inferiority, and loss of dignity. Interestingly, most Americans, when polled, defined poverty strictly in material terms. The point is this: How you define the cause and problem of poverty will directly affect how you attempt to solve it. Thus, if poverty is strictly a material condition, then our attempts to help will be strictly material. Fikkert went on to describe the theological and relational problem of poverty. He summarized poverty as fundamentally relational. A breakdown of relationship with God, with one’s self, with creation, and with others. To be fully human is experience the fullness of all of these relationships, yet poverty is the cyclical breakdown of all these spheres. I say cyclical in the sense that a breakdown in one sphere affects a breakdown in the other which causes a further breakdown in the prior. This breakdown of relationships affects all aspects of our world both individual and societal systems causing these systems to not only be unhelpful, but downright oppressive. The solution then is about reconciling relationships in all four of these means. This is nothing less than a blending of the theological and the sociological. A lot of my conversations with those who are serious about ministering to the poor have revolved around this tension. How do you minister in the name of Jesus to real, physical, and societal needs without losing the explicit message of the Gospel? Fikkert, without using this terminology, called for a renewed theology of new creation whereby God is remaking all things, reconciling ALL relationships through Jesus. That’s fine, but how does it get practical? This is where I resonated most with Fikkert’s call to the church. In radically redefining poverty, Fikkert radically redefined what it is to be poor. If poverty is described primarily in a breakdown of relationships, then as a middle class North American, I am poor in areas that those who are materially defined as “poor” are rich. I am poor in the sense that I have a God-complex which puts me at enmity with God, hostility with others, tyranny with creation, and fantasy with myself. A proper response then to alleviating poverty and helping “the poor” begins with repentance of my own pride and acknowledgment that I am poor. This includes repenting of my own “prosperity Gospel” whereby I believe that my material blessing equates to spiritual blessing. (This is a point where I need to reflect further because it does seem that in the covenantal curses and blessings of Deuteronomy 28-31 that material blessing does come alongside spiritual blessing.) I must repent of my pride and my God-complexes, and renounce the assumption that just because I have more stuff, therefore I have more to give to the one in material poverty than he/she has to give to me. At the conclusion of this, I suppose that the way to really help without hurting is a genuine humility that acknowledges my own brokenness and need for help. I find myself coming to a place where I am beginning to truly believe that the materially poor (and other ethnicities for that matter) have something to teach me about who God is and what He desires of me. So thinking about your definition of poverty, what needs to change?